After some months of work, the translation goes to the end. Everything is translated and every bug was corrected (the chest, crowns, in/out-party bugs and the freeze after the Sora's awakening), so finally I'm ready to publish here everything. There are some strings that I keep untranslated because they are useless, like the summaries of the story in Theater Mode or some debug messages from the Theater that became unused on the final version of the game. I missed some strings from the Hollow Bastion and the Twilight Town, that honestly I didn't found on the game, so if you find them please report them to me. As someone asked some weeks ago, I'll release the programs that I used for the translation but note that I developed them quickly and I have no time to create a decent GUI. If you are interested to translate the game I'll be happy to give an help and, after the end of translation, I'll be happy to host here your translations. With the two translations I want to add to the downloads also two patches: the one will enable the Japanese voices to the new scenes that was undubbed when you view the scenes with the English language in Theater mode or when you play the game, and the other will patch some files to enable the Japanese voices when you play to the game, also the character's voices when you fight the enemy. I'm releasing also my unpacker, that can dump over 25.000 files from every edition of Kingdom Hearts 2 (FM, JP, USA, ITA etc etc). This unpacker has also the packer, that take all the files uncompressed and repack them into a new archive, to do some rom hacks or to explore the undergrounds of the game. 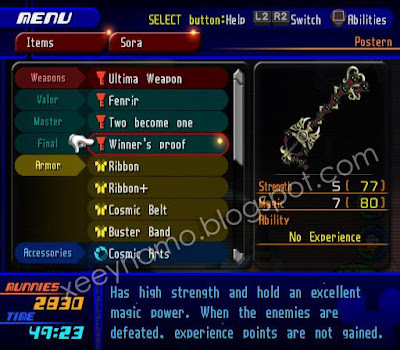 Be careful with this packer, because with my experiments the game became bugged when I put back to the ISO the KH2.IMG that is equal or bigger than the original file (to avoid this I removed the Lion King's world and the game works well). If you have questions, write here, I'll answer them in a new more detailed/technical post :). WARNING: This post and the files uploaded are protected from the copyright-free, so any "cut-and-paste", translation or summary of this post without to link clearly the sources and the author will be prosecuted. The re-uploading of any materials downloaded from the links in this post without permission is forbidden. Simply I want to protect my works from the people that copy the works of other peoples. The KH2 Patcher is an universal tool to patch any file for Kingdom Hearts II Final Mix edition (I'm not exluding to support also the other editions in future). To patch the game you need to extract to the same folder the patcher, the patch and the ISO of Kingdom Hearts II Final Mix game from your original copy of the game. Drag the patch file to the patcher and, when the patcher shows you the changelog and the other infos, write into the window the name of the ISO. At this point, after pressing RETURN, the ISO will patch permanently, so be sure to protect all your original copies before to continue. Traduzione: Inserisci in un'unica cartella il programma KH2Patcher, l'ISO di Kingdom Hearts II Final Mix e la patch che si desidera applicare, dopodiché trascina il file della patch nel programma. Nella finestra che si aprirà, specifica il nome dell'ISO del gioco (nel mio esempio KH2FM_JP.iso) e premere INVIO. Attenzione, perché dopo aver confermato il nome del file ISO, il gioco verrà patchato permanentemente, perciò assicuratevi di tenere sempre una copia intatta dei vostri file prima di fare qualunque cambiamento. Why don't you release a patched ISO like the beta? : First: it's illegal. Second I should spend a lot of time to upload 6GB for a patch that will be updated. If I upload an already patched ISO with the rev3, when I'll release an rev04 or 05 you should patch the ISO already patched, so it's better if you dump the ISO from your original copy and do the patching process yourself. Someone says that the Lion King's world is not present in this patch: Fake. Previously I said that with my packer/unpacker, the world of Lion King is not accessible, so I remove it, but I prefer to release a full patched game with everything accessible, so I spent more time to avoid the patching process with my tool (that work, the real problem born when I put back KH2.IMG file). The patcher says "Unable to find the ISO": Try to put your iso into an unit like "C:\" or "D:\PS2_Games". The problem is that the DOS environment doesn't support the file or the folder with spaces (like the folders with the underline "C:\Document and settings\Hi my name is Bob\Documents\Downoad\Kingdom Hearts II Final Mix\). The game become patched but in some worlds, all the texts became "FAKE": Be sure to use an untouched ISO from Kingdom Hearts II Final Mix's game. Sometimes if you get the disc image with different formats (like cue/bin, nrg, imz etc) the patcher will doesn't work, so try to dump in ISO format. It's possible also that you have downloaded (I hope that you did not do this) a modified ISO. Be sure that the MD5 is 1bd351e1df9fc5d783d8318010d17f03 before to continue (more info to redump.org). "I want to add to the downloads also two patches: the one will enable the Japanese voices to the new scenes that was undubbed when you view the scenes with the English language in Theater mode or when you play the game, and the other will patch some files to enable the Japanese voices when you play to the game, also the character's voices when you fight the enemy"
oltre alla patch per la traduzione dei testi bisognerà applicare anche altre 2 patch per la traduzione dei dialoghi originali di final mix? 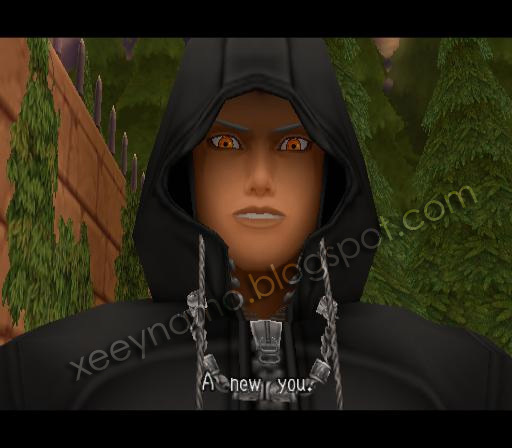 e il parlato è in giapponese o anche in inglese dove possibile visto che alcune scene sono di kh 358\2 days in inglese? Just excellent; a complete patch for Final Mix, and new dumping tools to boot! Finally, no more guessing what the Japanese means; I'll just know. Say, did you manage to dub the Riku-Roxas fight, or just sub it? So, wait. I'm confused. The Lion King work in NOT included in the final patch/game? I'm pretty sure he was just saying after he was experimenting with the packer he cut the Lion King map. So the Lion King hasn't been cut from this patch. Also you are so epic Xeeynamo thank you so much. Oh ok Xeeynamo my bad, your a god! @hiimkris0422: I'm guessing you mean a real PS2? Assuming the patched ISO fits on a DVD, you can burn it to play on chipped PS2's or use ESR on softmoded PS2's. There are some other options too, though. xeeynamo can i say the url of the entry in taringa? non ho capito bene come devo fare ma finalmente la patch è finita sei un grande! Great Work Xeeynamo! By the way,you think you're going to work even on the first FM translation? Would this patch work for the playstation 3? Xeeynamo non potresti spiegare brevemente in italiano come scaricare,applicare le patch e giocare? Got a problem in the patching process:when the program ask for the iso name and I write it,it says that the is unable to open iso! @Squalloffire: Be sure that your ISO hasn't the property "Read only" and that it's not opened with another program. the Iso was damaged -.- I'll try with another backup and see how it goes! To all of you having trouble patching, remember to type in [filename].iso rather than just [filename]. @Saru prima di tutto si chiama Xeeynamo; seconda cosa schiacci su Save file to your PC: Download ? ti dovrebbe partire automaticamente. Prima di scomodarlo facendotelo mandare su email,provaci. Grazie Xeeynamo per la patch, ma vorrei sapere una cosa la Patch ver 3 non comprende l'audio ma solo i testi vero? Quando rilascerai le altre due patch e a cosa servono Enabler e Switcher? the patcher doesn't work for me. it sais - the program cannot be innitiated because MSVCR100.dll is missing. try to re-install the program. This is amazing - thanks for doing this! One small bug report: you seem to have missed the text for the new gummi blocks (shuriken, boomerang, etc.). Both the gummi names and descriptions show up as numbers. The Iso and the patcher need to be placed in a specific folder (i.e. "C:\") or any folder is ok? For anyone using Google Translate for this site and looking for the English patch, it's the "Italiano" one that you want to download. Either way, I've been following this site for awhile (checkikng daily) and am so happy to see this finally come through. Thanks so much for your hard work Xeeynamo. I've been waiting for this for YEARS! can i use your beta for patch it? Just wondering, would you need the japanese Re: Chains of Memories to unlock the japanese theater mode or did u modify it so it can recognize the usa Re: Chains of Memories?? I patched the ISO and put it into my PS2's HDD, but when I load it with HDLoader, it's still all in Japanese. Can someone please help me. Is there some trick to get the patcher to recognize the iso? No matter what I do it always says unable to find iso. Do I type in the full address or just the filename? Does the Patcher, Iso, and Patch need to be in a certain place on the computer? If someone is having the problem "unable to open the ISO", try to patch your game on different location. Like in different hard drive. Dude, you're amazing. Donation on the way. The instructions for the other 3 jobs in the Tram common are the same way, too. I assume all of these types on instructions are still in Japanese. Doesn't matter too much though, easy enough information. Thanks for doing this! If you decide to work on other projects (non KH related) maybe you can work on Valkyria Chronicles 3? Since Sega West pretty much said that it isn't being released in the U.S. and that game needs an english translation. and i think it work on your beta too. @Demitel thank you for your idea,you helped me resolve my problem. New Issue while playng: during a cutscene just before the 2nd day of Roxas the game freeze (on the sentence "the heartles have great fea of the keyblade"). I can pause the game and skip the scene,but the game hangs in black screen if I do this. During the black screen I've changed the disc with the original japanese one and it moved on to the next cutscen,maintaining the modified subtitles! 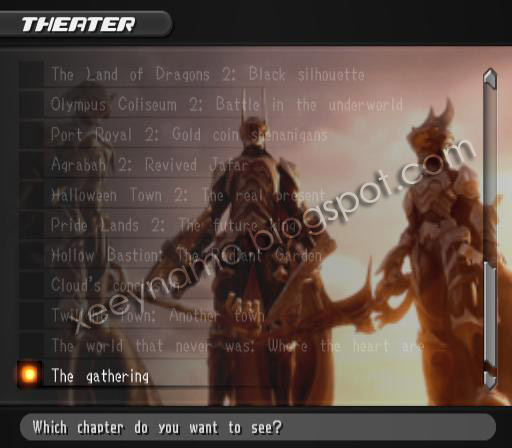 Thanks xeeynamo you have a nice work congratulations this tools of KH2FM work in disc 2 KH2 Re:chain of memories? Senti,Xeeynamo,in questi giorni posso postare il gioco già patchato su megaupload? Così chi deve ancora scaricare il gioco in jap,scarica direttamente il gioco già in italiano. It says FAKE in every sub in Beasts Castle. My bad. I'm guessing it's an Absent Silhouette. It appears right after Demyx runs away during your first trip into Hades in the room where you get the map. If it's not that, it's this weird dark floating object that looks like a book with the Nobody symbol on it. The number that comes up when you examine it is 20166. Hope that helps! and then the screen turns black as well. how do you use the repacker? Can you put the Iso patched? wait so just to be sure if iimport the game and get a swap magic i could use that to apply this patch to the actual game and play it in english on my ps2 ? Yes. Another option is pcsx2, but you need a decent computer (dual core at least) and graphics card. My radeon 4650 can run it full speed at native resolution, and those can be found quite cheap these days. mi puoi dire dove l'hai scaricata tu? here i got the black screen problem when entering world Space Paranoid..Another problem is Disney Castle every message says "FAKE"..but Beast Castle not.. Se c' è qualcuno a cui va,gli chiedo cortesemente di darmi le sue impostazioni di configurazione,forse sono quelle. No translation in underworld in Hercules. I think I got lucky thus far. I've only encountered the "Fake" error once, and that is during Zexion's fight(Which I can't seem to beat right now. I'm doomed on my level 1 critical playthrough i if I can't even beat him at lvl 16 critical XD). I have, however, noticed a few missing strings and text in the wrong place. Nothing big though. I have sent you a detailed report of everything I see Xeeynamo. How strong is your computer? I'm personally using PCSX2 0.9.7(Yeah, I know. I need to upgrade =P), but I also have a really good desktop. What all have you tried, and if PCSX2 has given any errors, which ones? I tried to unpack my game, but it says it can't find sys.img, and export/**000.img, where ** are all the world names. Xeeynamo, how do I get it to work properly? To the people who cant open the iso, are they mounted to a virtual drive? @kh2fan: Received your donation :) THANK YOU!!! I appreciate it very much! @gledson: Nope, the Disc 2 is totally different from KH2FM. Don't you know that RE:COM was released also in USA? @Xeeynamo: I used the "UnpackAll.bat" to unpack, but there are no text (txt) files in the extract folder, or anywhere really. Here's a dir list of the unpacked file: http://www.2shared.com/file/lM5h4c-T/KHDumper_out.html (TXT file in the zip file). I also tried with "Create list.txt" on, but nothing changed. @Crazycatz: Try to take every 000xx.idx inside the export folder and drag it to the dumper with "create list" enabled, so unpack and surely 000xx.txt will be created. If you have sys.txt and 000tt.txt for example, the game's system and twilight town will be packed, so to pack every world you need to unpack every 000xx.idx. Comunque sai perché non andava? Avevo patchato su una iso già patchata,però ho riscaricato tutto ed ora va che una meraviglia,domani lo metto sul DVD. @ hiimkris0422 yes I bought the game, created an iso, patched it, and burnt it to a DVD-r. I launched it with swap magic, but I couldn't really get past the title screen of Kh2. I'm not sure what went wrong because it seems to have worked for many people. But it still doesn't create any text files. @davidk8490: Can you give me the MD5 values of your ISO? And what software do you use to dump the ISO from the disc? @Xeeynamo: the MD5 values are un-patched: 1bd351e1df9fc5d783d8318010d17f03. Patched: a7f00d2bcc6072329dedd50e214aa1d0. I used MagicISO to create the iso. @davidk8490: Strange, mine ISO has the same checksum... Have you tried with the emulator? Segnalo la mancata traduzione del video in cui si apre il buco che porta nella caverna dei ricordi... non posso dare numero però. Ehi xeeynamo piccolo changelog della Rev-4? You're my hero. You did what people have been given up (like Majik. Actually, I don't know what hapend to him). @Squalloffire: A few tips about ESR: Use high-quality DVD-R disks (such as Verbatim [beware, they have knock-offs ><]), burn at about half, or so, of the disks rated speed (If the disk is 16x, burn at 8x), and apply the ESR patch after all other patches (as it changes the filesystem). @KeyBladeMaster Majik stopped because his life got too busy. At least that's what he told everyone. Xeeynamo, what exactly is different about rev4? Also, should we patch the already patched iso from rev3 or use the original iso again? @Crazycats: :D have you downloaded already the new version? What do you think of that dumper? Thanks Xeeynamo. Also, I just want to make sure I have this straight. The Japenabler you're going to make available to us will just enable the Japanese voice acting on the FM exclusive cut scenes, or everything? Also, I heard that the exclusive scenes had English voice acting in 358/2 days. I haven't played it myself, so I don't know. If that's true, will you be adding those to the patch? It's fine either way, I don't mind reading the subtitles. I was just curious. Waiting for it to re-pack atm. I found that in "UnpackAll.bat" line "move export\000ej.txt .\" should be "move export\000eh.txt .\", though. So, while I wait, I'm trying to see if I can make the game NOT need the Re:CoM version that comes with it (To enable the Theater mode language choice). @Xeeynamo: I know the Re: COM was released in the USA, but since playing KH2:FM+ without a JP clear save of Re: COM won't unlock the extra content, would it be too difficult to transfer the english text/voices over to the JP build? @crazycatz thanks for the info,but I already use the Verbatim Dvd-R at minimum speed on a non-laptop PC to be sure that I don't get any error's while burning. For the rest I just have to fine an untouched backup and i'll do it. Aniway,as i said before,by swapping the disk with the original japanes backup the cutscene continue from where it stopped so it's no big deal. Also I've been the only one to have this issue so I think that it is something related to the backup that I have done. @Xeeynamo: Ok, I got it to re-pack fine. I did tried to patch the game so it always acts as if you have the JP Re:CoM done, but I can't find the function that checks, just where it checks (It reads part of the file, too). I'm not sure if the .c or .x files would still be there, though. Hope something here helps ;). I even tried switching the priveledges on all files still to no avail. Am I doing something wrong? Getting the same problem as 1UPForever. @Xeeynamo: You truly are legendary. I hope my text-bug reports have been helpful! If I find any others, I'll be sure to send them over to you! Hey. I didn't understood well. Did you mean that you will make a patch to have the japanese voices over all the scenes of the game? per scaricare clicca su "Telecharger en une seul fois"
Scusa,Xeeynamo,ma la rev 3 che problemi aveva? A me oltre ai testi di numeri non dava problemi. No problem man, you deserve it. Hope you get a few more donations besides mine. @mkdms14 The scene occurs during Hollow Bastion(I believe a bit before Goofy dies. Either that, or after). It's the section of Hollow Bastion's story where you go to see Ansem's lab, meet tron, and fight 1000 heartless. You unlock theater mode by beating the game I believe. ...HAHAHA Oh WOW! Derp, I can't believe it was that simple. Thanks for pointing that out, and now even looking the patcher link has been changed to say rev4 too. How did I miss that? Either way, thanks man. Successfully patched, now to enjoy the patch in all its glory. In the Assemble the puzzle's pieces>Tutorial section there is a number "20298"
Hey Xeeynamo you know the menu trailer? Every sub there says "FAKE" you could just eliminate those subs in the english patch and translate the subs in the italian patch. BTW, why is my theater mode in italian? il resto mi sembra abbastanza semplice no? eppure lo ha spiegato a lettere cubitali affinchè tutti potessero capire. una volta scaricati questi file che xeeynamo ci ha postati in alto decomprimili sempre con win rar e metti tutto il contenuto, cioè i file di xeeynamo decompressi e l'immagine del gioco decompressa dentro una cartella! se hai un emulatore su pc basterà caricare l'immagine: "Run Iso"
altrimenti se hai una ps2 modificata masterizza il file immagine (ISO) con programmi di masterizzazione come Nero! Non era così complicato anche perchè Xeeynamo ha davvero scritto ogni cosa! bastava saper leggere bene ogni passaggio ed una navigazione di base in internet per trovare l'immagine del gioco da scaricare! Se hai un emulatore su pc e va lento allora non dipende dal gioco ma dalle prestazioni del tuo pc! in caso lascia perdere e compra una ps2 o ps3 modificata o un pc portatile potente con un processore di livello "i5". se non l'ha messa già patchata un motivo ci sarà no? sicuramente starà lavorando per migliorare ancora di più il suo lavoro, e dovremmo esserne grati per questo anzichè arrabbiarsi alla prima difficoltà! e il gioco non mi risulta patchato cosa devo fare? "Thanks to: SquareEnix for this series (recently ruined by spin-off with no sense)"
bahahaha! Just curious, which one? Coded, BBS, or 358/2 days? Or all of the above? strano! il procedimento è quello! l'immagine del gioco che ho patchato io è di downloadzone è a me non ha dato problemi, in 2 secondi dice 56/56. Patchato con successo. A questo punto penso dipenda da computer a computer perchè il procedimento è quello e il materiale è il medesimo usato da me. una cosa giovanni ma devo scrivere pure ad esempio nel patcher c:/il nome.iso come fa axel? Per applicare la patch devi mettere il file KH2Patcher (che si scarica da quà:http://www.2shared.com/file/qFYBL_c5/KH2PatcherRev4.html) ,la patch italiana (che sta quà:http://www.2shared.com/file/KTYC9odV/italian_rev4.html) e il file del gioco (.iso) nella stessa cartella. 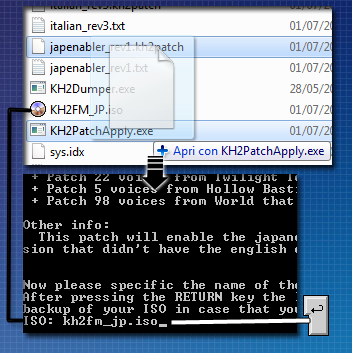 poi trascini la patch italiana ( italian_rev4.kh2patch) dentro il file KH2Patcher. Ti si apre una schermata nera, tu aspetta che si carica. Poi ti chiede di inserire il nome del gioco (nome.iso). Tu lo fai e aspetti che carica. Ricorda che la patch è permanente quindi ti consiglio di fare prima una copia del gioco. Mi raccomando quando aggiungi il nome metti alla fine ".iso" (senza virgolette). ma il file mds lo devo mettere anche dentro la cartella? A me il gioco va perfettamente solo che attacca con il O invece della X e salta con la X invece del O...Come risolvo? Non mi ero accorto dei primi quattro file, hai ragione il formato è diverso ma non preoccuparti! Se hai scaricato tutte e nove le parti non cancellare assolutamente le prime quattro! non sono danneggiate sono compresse con un altro prohramma! usa questo per le prime quattro parti! clicca su download, installalo e poi fai partire il programma hjsplit! metti tutti i file compressi in una cartella okay? una volta aperto hjsplit clicca su JOIN e seleziona dalla cartella dove sono i file compressi l'unico che ti visualizza! metti su OUTPUT FOLDER la stessa cartella dove sono tutti i file! adesso avrai tutti e nove i file compressi in formato rar! scompatta anche questi con winrar cliccando sul primo e facendo extract here con il destro! alla fine avrai il file immagine! con la patch spero tu abbia capito come fare! è semplice!